Another week has flown by….whew……. But it was such a good week. The mister had a birthday that I think went pretty good. 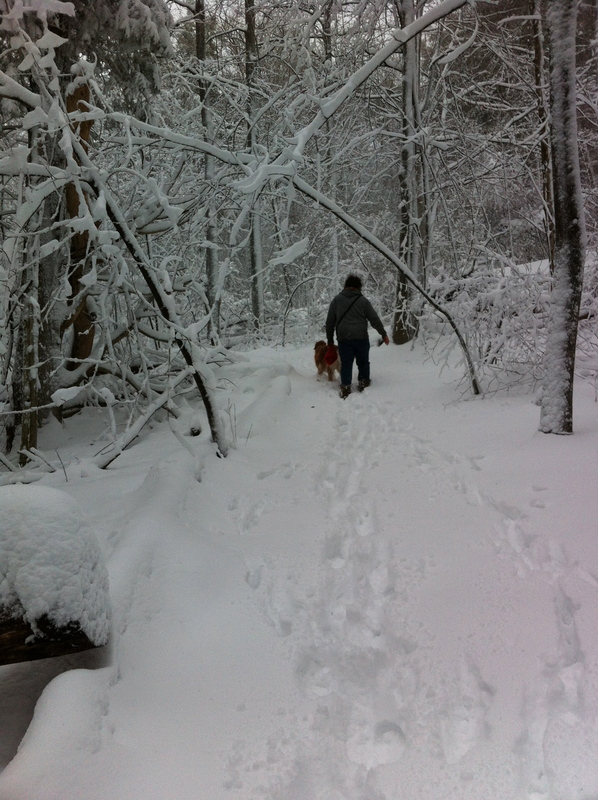 We received a fair amount of snow that turned the world into a snow globe. We took our first road trip in the new car down to NYC to visit Nicks brother his girlfriend. (They were awesome..We had a great time) And now we are home. .…. a lot of happy things this week. It's kind of turned into a Nick birthday tradition for us to hike up Mount Philo. We started with a couple inches of snow and a little freezing rain at the bottom of the trail and ended at the summit hiking in a foot of snow. So beautiful. 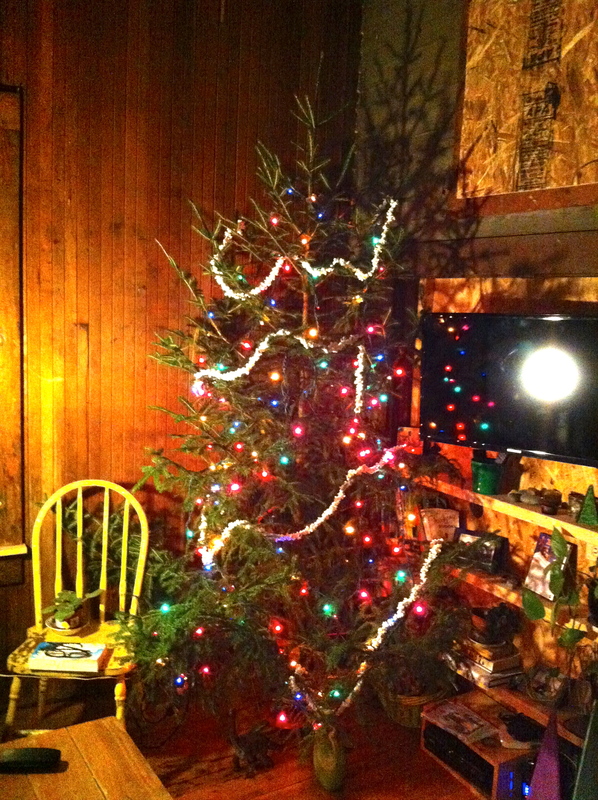 Our Christmas tree tradition. Every year after we cut our tree down, we string up the lights, pop a giant bowl of popcorn and string it up for the tree while watching Elf. I look forward to this night for weeks. We started stringing popcorn too many years ago when we were living in our first apartment. 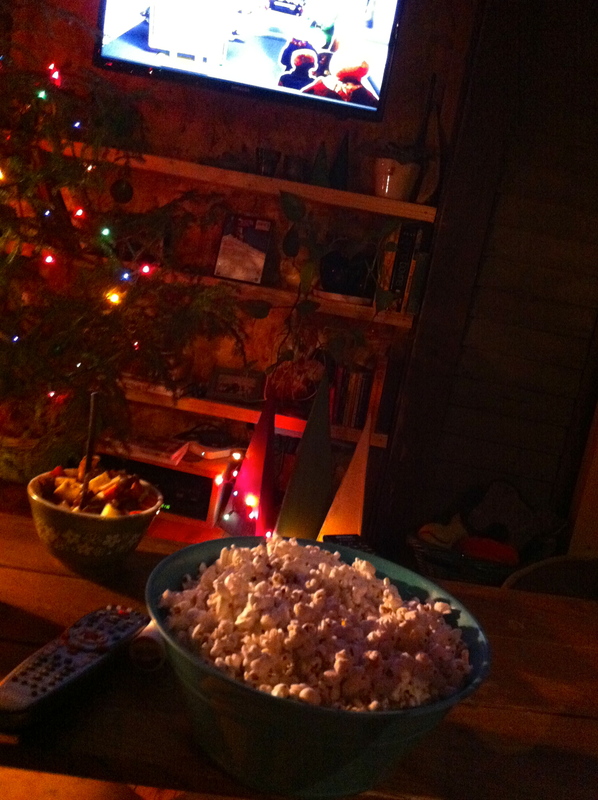 We didn't have any ornaments or money so we just did popcorn. Then we added Elf to the tradition. How can it get better? It's really the highlight of the season. 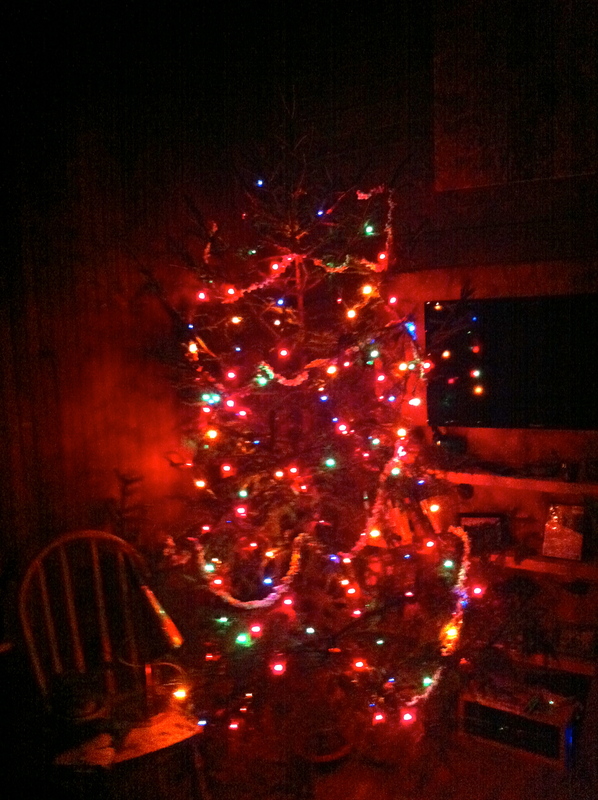 The tree…….minus the ornaments. I am still up in the air about putting anything else on it this year, I love the way it looks now. A kitchen supply store in NYC. I could have spent the entire day in this store. There was something for everything. I walked out with nothing. It's ok, I can always go back. 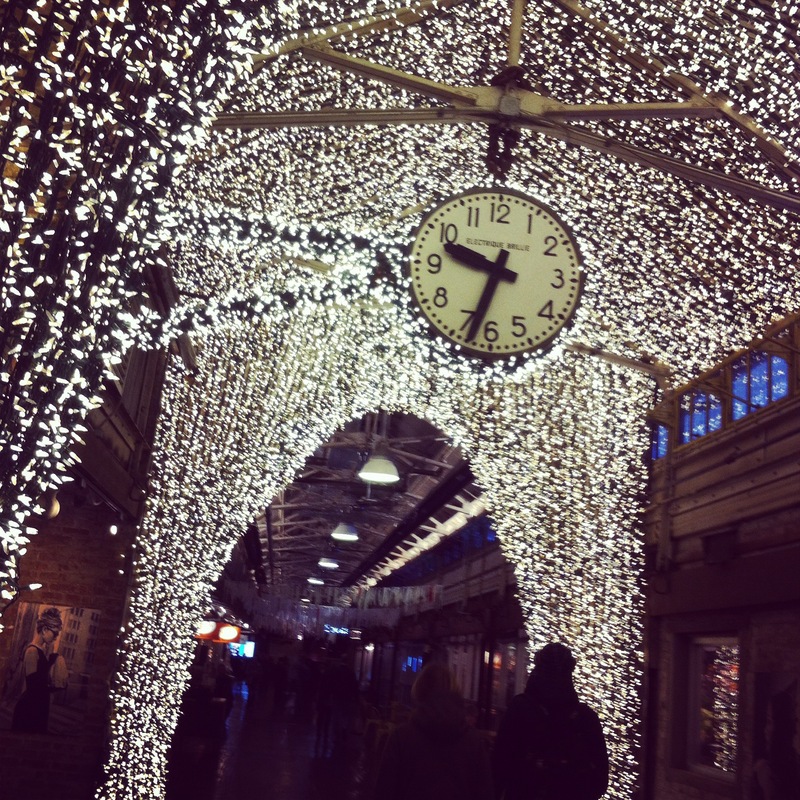 The Chelsea Market in NYC was really fun. Its located in such a sweet building with a bunch of neat little shops. We made our way there for the Etsy craft fair which was really cool. We even made it early enough for the door prizes! And just look at these light! By far the best light display I have seen this year. 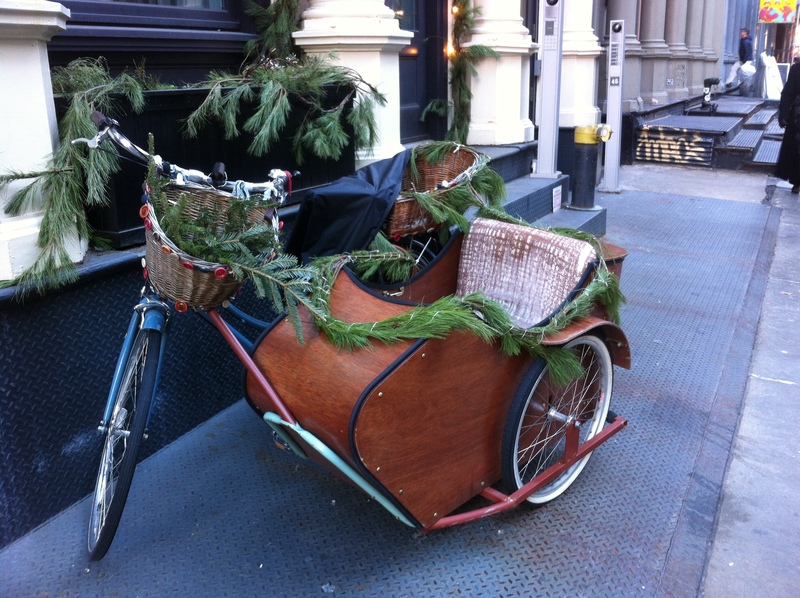 Nick and I always joke about getting a bike with a side car…..I think it was meant to be. Waking up earlier then everyone else and hitting the streets. 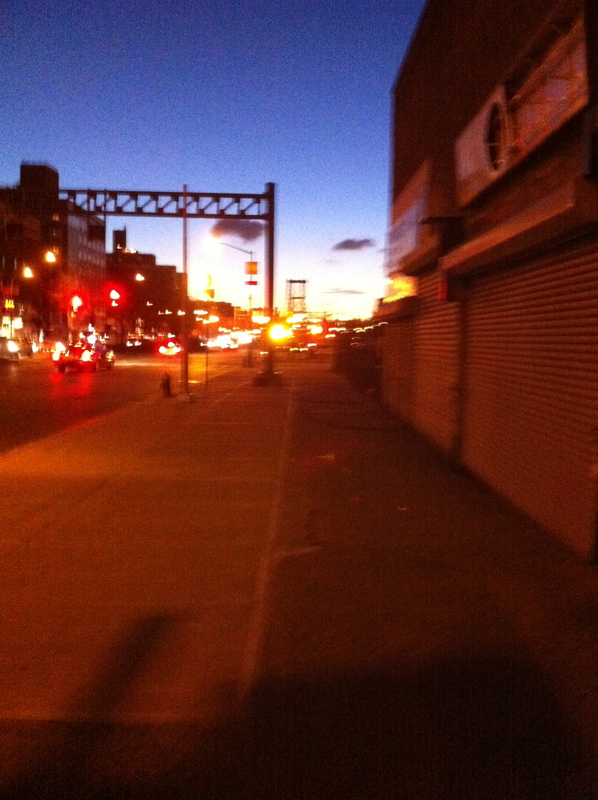 Walking around the lower east side at 6 am on a saturday is really fascinating. The streets were almost complexity empty and there was less of a hurry hurry energy. I got to see the sun coming up. 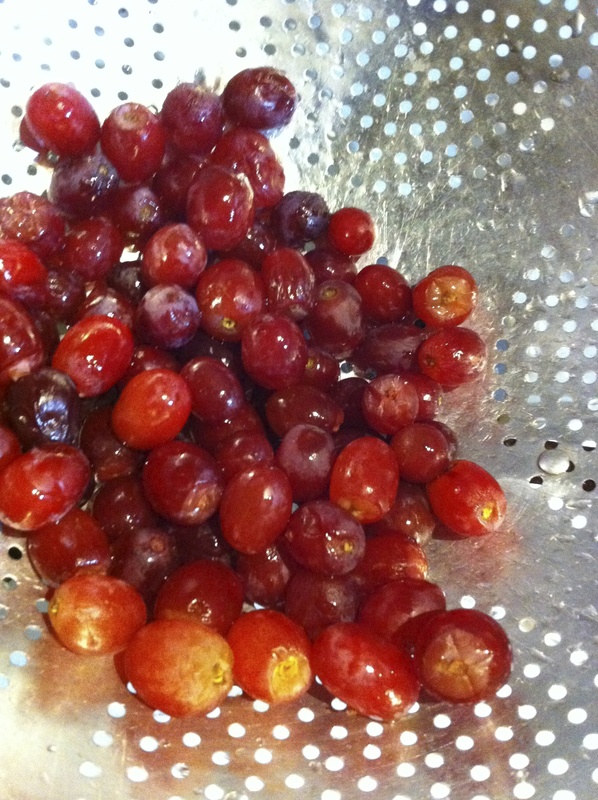 A bowl of delicious grapes. Can make anyone happy, right. Ahh,, and back to Sunday. I am going to clean, unpack, shovel a bit and get ready for the week. Then I am going to hang with the puppy(I missed him) and I am also going to drink to much coffee, read and nap throughout the day. A low key kind of day. I think I kind of deserve it, and I think you deserve a day to do what you want too! Hope you have some happy!! !